To evaluate the efficacy of the PA101C on reducing airborne dust particles and Aspergillus fumigatus mold spores. 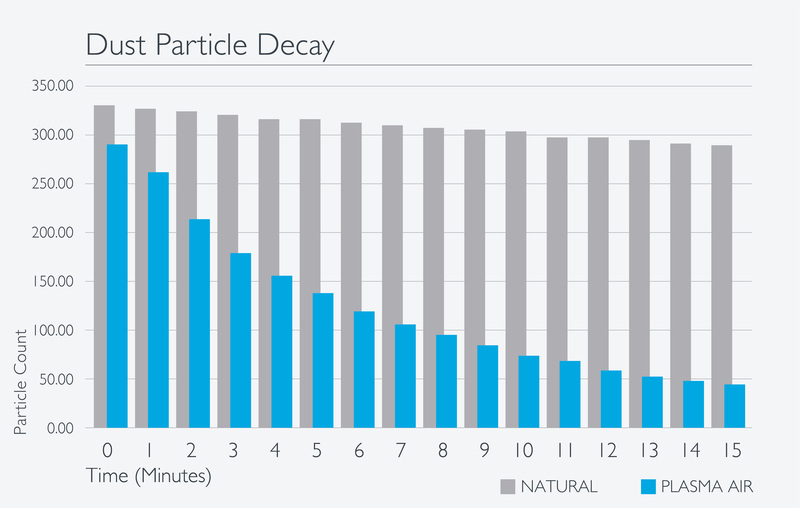 Over the fifteen-minute test period, the dust particles decayed naturally by 12.6%, while the PA101C produced a decay rate of 85.8%. The Aspergillus fumigatus mold spores decayed naturally at a rate of 67.1%, while the PA101C produced a decay rate of 91.1%.